World leading storage solutions provider Western Digital Corporation has announced that it is expanding its award-winning color portfolio with a new line called the WD Gold™ datacenter hard drives. 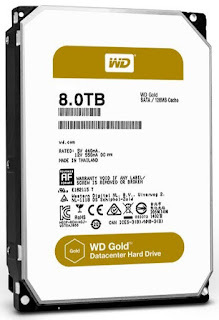 The WD Gold datacenter hard drives are built for a vast number of applications for SMB servers and storage, as well as rack-mount data center servers and storage enclosures. The WD Gold datacenter is now available in high-capacity configurations of up to 8TB. It features HelioSeal® helium-technology performance, ideal capacity per square foot and power efficiency designed for datacenter environments. The new color of hard drives come with an optimized design that can help reduce the total cost of ownership of servers and storage systems. Improved Power Efficiency is up to 15%. HelioSeal technology can even lower power consumption by up to 26%. 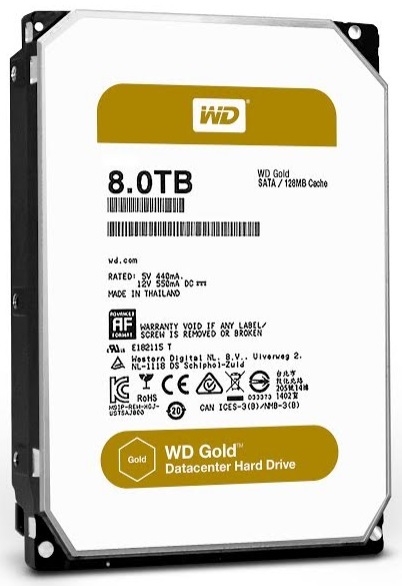 With best-of-breed design, the WD Gold comes with 2.5 million hours of MTBF for the 8TB offering.